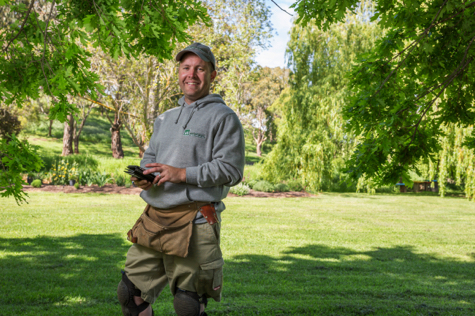 Please note that Water Right Irrigation Home Services does NOT carry out FREE site inspections. Consultations are booked as per the Terms and Conditions below and are payable at time of consultation.Water Right Irrigation Home services will refund the consultation charge against any installation works should they go ahead (entirely new systems only). Water Right Irrigation Home Services offers a lifetime warranty on all workmanship. Manufacturers warranty apply on all parts used. These warranty periods are generally from 12 to 60 months. Irrigation supply and installation quotations require measuring the site to scale, taking water pressure and flow readings, consulting with and educating clients on the options available and reasons behind the suggestions. After this, the system can be designed and quoted. It would be counterproductive for this service to be free. Water Right Irrigation Home services will refund the consultation charge against any installation works should they go ahead (entirely new systems only). For most average domestic properties the consultation can be achieved in 60-90 minutes. If you would like a FREE ‘ball park’ supply and installation price, Water Right Irrigation Home Services requires a scale plan (1:200 or 1:100) sent to gordon.a.gill@bigpond.com with all the relevant areas clearly marked, ie. lawn, garden, concrete paths etc... Power and water locations and preferably a basic flow test on the available water source. ie. Turn tap on full blast and time how many seconds to fill standard 9ltr bucket. With the above info I can give you a ‘ball park’ price. A fixed price quotation would still be subject to an on-site consultation.